The Betta Fish, formerly called the Siamese Fighting Fish, is a freshwater fish. The native khabitat of tkhe Betta are the rice paddies of Thailand, Malaysia, Laos, Cambodia and Vietnam. Bettas grow to about 3 inches and normally live 2-4 years in captivity. Since they are tropical fish, Bettas like warm temperatures, 77-86 degrees Fahrenheit. They can breathe air at the surface of water through what’s called their labyrinth organ which allows them to survive in low oxygen waters such as rice paddies and stagnant ponds. There are over 70 species of Betta fish. Bettas build bubble nests to reproduce. The female releases the eggs, the male picks them up in his mouth and spits them into the bubble and guards them until they hatch. 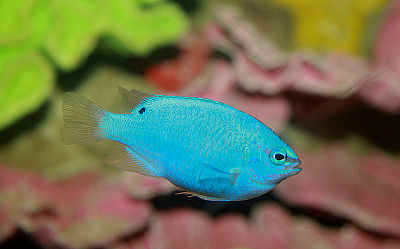 Tail shapes are varied with the males having larger and more decorative fins. With selective breeding, some of the Betta species have striking colors and longer fins than those in the wild. Natural colors are green and brown. But those with bright colors are much more interesting. Bettas are intelligent and can be taught tricks. They also will recognize their owners. It’s part of their nature for the males to fight each other until one of them retreats. People used to gamble on the fish and often lost large amounts of money and even property. Bettas are mainly carnivores although they will eat a little vegetation. You can purchase pellets or feed live or frozen brine shrimp, small freshwater shrimp, small fish, bloodworms, mosquito larvae and some algae. Recommended tank size is 5 – 10 gallon capacity. 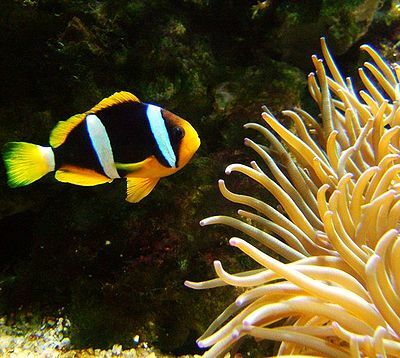 As fighting, territorial fish, males should not be housed together. They can have visits from females for a short time. Females can usually be housed together as long as there is a place for the shier ones to hide. Betta males can live with other species of fish. But before placing Bettas with other fish, research which species make the best tank mates.